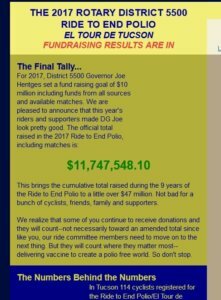 This year the Ride to End Polio raised more than $11.7 million. 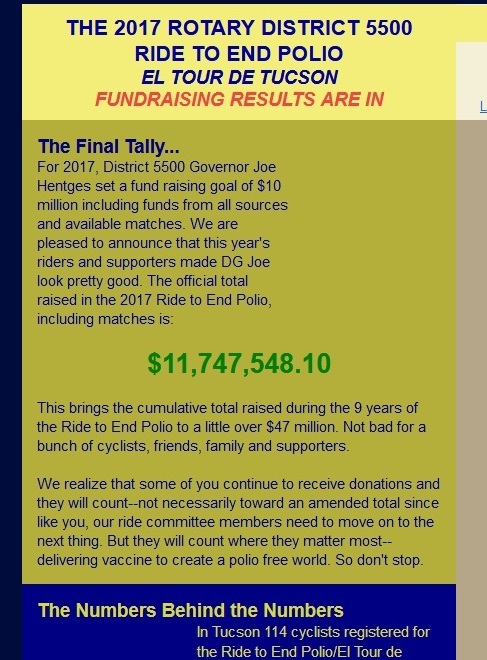 Thank you to our members, the Rotary staff team, and our donors for adding your support to help us cross the finish line. In 2016, $11. 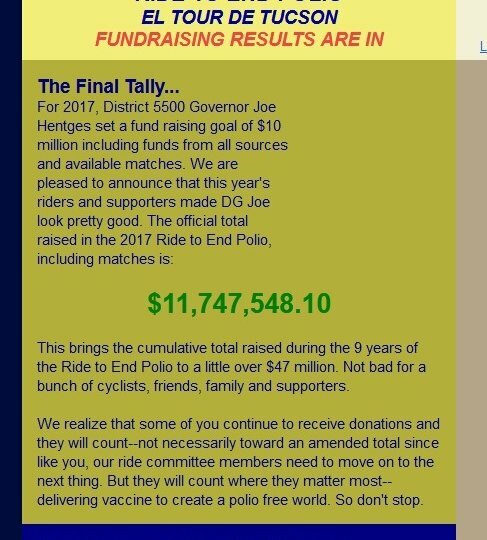 3million were raised. $36 million have been raised since 2009. 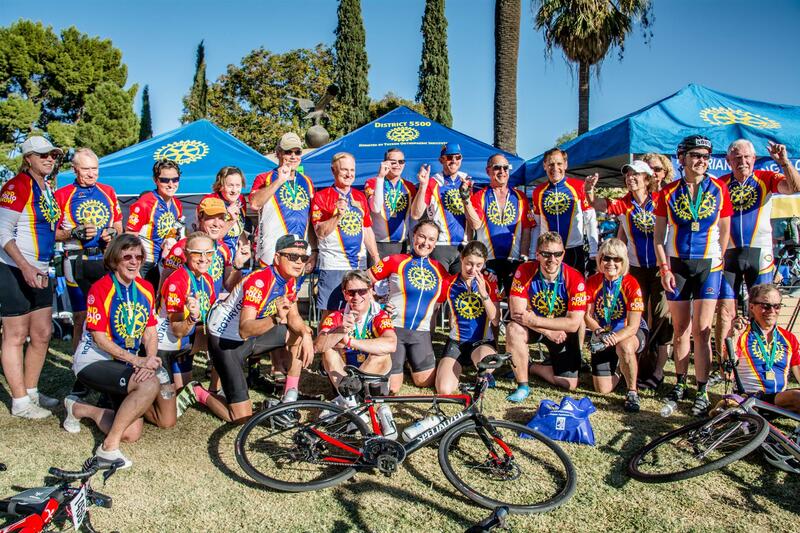 Thanks Rotarians, thanks cyclists, thanks donators !! !